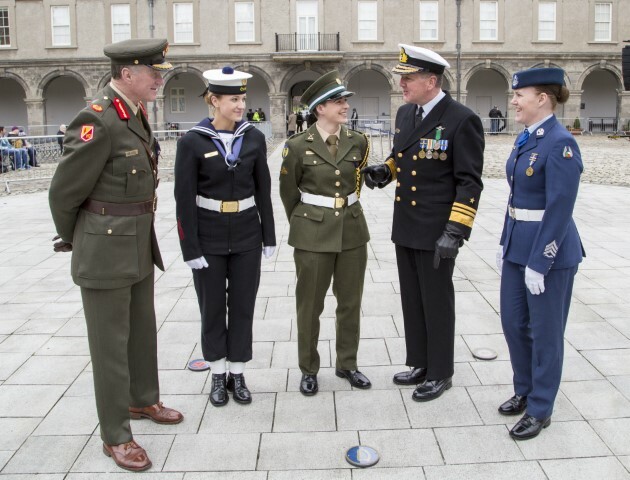 For Captain Deirdre Carbery, deciding to choose a career in the Irish Defense Forces was something that came very naturally to her. After growing up in a military family, Deirdre was familiar with the lifestyle and for the most part, knew what it would entail. She joined up after secondary school but what she didn’t expect was the huge sense of pride she would get from her work. “I am currently the Aide De Camp to Vice Admiral Mark Mellett, I suppose the best way to describe it is a personal staff officer to the Chief of Staff. My dad was in the army, he retired as a colonel about four years ago now. I’d always been around the military and from an early age I wanted to get involved,” Deirdre says. Deirdre, who’s now 31 years-old, says that as a young girl she witnessed lots of positive role models, but it was mainly men and her friend’s fathers that she saw in the army, not women or their mums. But as her dad progressed through his career things began to change and seeing this had a big influence on Deirdre. “By the time I had reached my teenage years I had actually for the first time met women in the army; junior officers and NCOs. More and more women were joining the Defense Forces,” she says. After her Leaving Certificate in 2004 Deirdre completed 21 months of training in the Cadet School at the Military College in the Curragh Camp, Co Kildare. 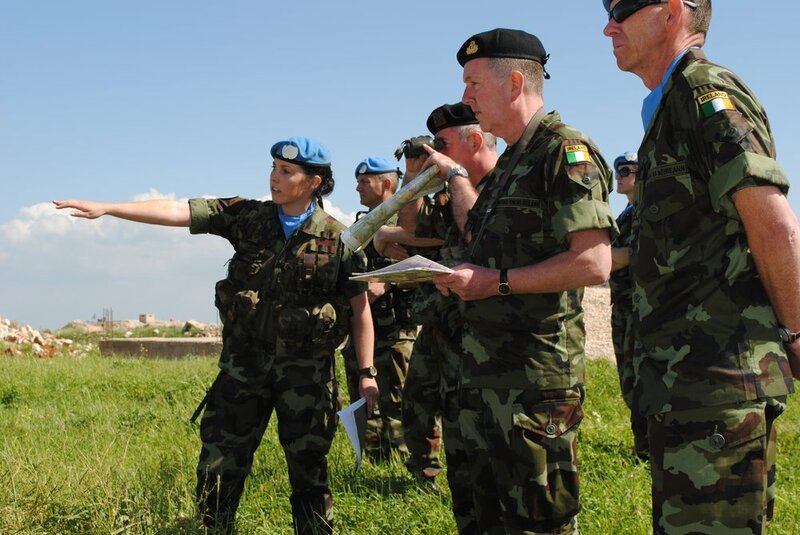 Last year Deirdre began her current appointment as the Aide De Camp to the Chief of Staff of the Defence Forces, but over the past decade she has had a number of roles, which include being commissioned as a 2nd Lieutenant in the 5th Infantry Battalion; deployed to South Lebanon to UNIFIL as an Infantry Platoon Commander in charge of 32 troops for a period of six months; appointed as an Instructor in the United Nations Training School, taking responsibility for the delivery of overseas training, human rights and gender training to military, Gardaí, international military and humanitarian staff. Deirdre also completed a degree in law and French at the University of Limerick in 2011, which she says offers a ‘more well-rounded’ approach. “Now, more than ever, a military career is so different to anything else. There’s a huge emphasis placed on teamwork and values. It’s not about the individual, it really is about the team and the organisation. So, I do think that’s a little bit different maybe from the society that we’re in at the moment,” she says. 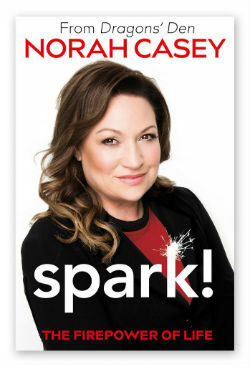 With regards to being prepared for her career, Deirdre says that her dad certainly did his best to equip her with the knowledge she would need, but she believes this is something that is learned over time, when experienced first-hand. “What the Cadet School did for me and [what] I think the training does for people, is that it prepares you for military life; you have to go through that process in your basic training and as you progress in your career, to really understand and to be indoctrinated into it. It’s for this reason that Deirdre says her job is a way of life, more so than a career and admires the organisation for doing their utmost to include the families and children of those involved. “You’re not just in the Defense Forces, your family is in the Defense Forces, your partner, your mum and dad. If you have small children, older children it affects them,” she says adding that her husband, Comdt. Andrew Brady, is currently deployed in Mali with the European Union Tactical Training Teams. As a woman in the military, Deirdre are her female co-workers are definitely in the minority, making up just six per cent of the workforce. However, she says that diversity is something the Irish military most certainly welcomes. “It’s such an outdated concept now to have a force that’s all the same, that everyone is a carbon copy of each other. I’ve always found it a huge asset to be different and it’s probably a reflection of the modern military we’re in today,” Deirdre explains. “As a body of females, we’re all so different as well, as friends we would be completely unique and completely different but I suppose the military training is what binds us all together and we know we’re all fully capable of doing our jobs. This variety Deirdre talks about runs much deeper than gender and represents all aspects of society, both nationally and internationally. She says that the Irish military deploys to ‘some of the most culturally diverse and socially diverse regions in the world’ and to have a force that respects that is actually to their benefit. “It really increases our operational effectiveness and improves our ability to go out into the community and communicate. When it comes to gender inclusion and LGBTA rights we have it, we get it and we get why it’s important. It’s kind of a case of not only is it the right thig to do, but it makes sense. I suppose it’s a testament to Ireland and how far we’ve come,” says Deirdre. Time away from family and loved ones is a requirement of the job and one these men and women make week in, week out. But what pushes someone in the military to keep going? What makes Deirdre want to go to work every day?